Apple have been found guilty of price fixing in the US. 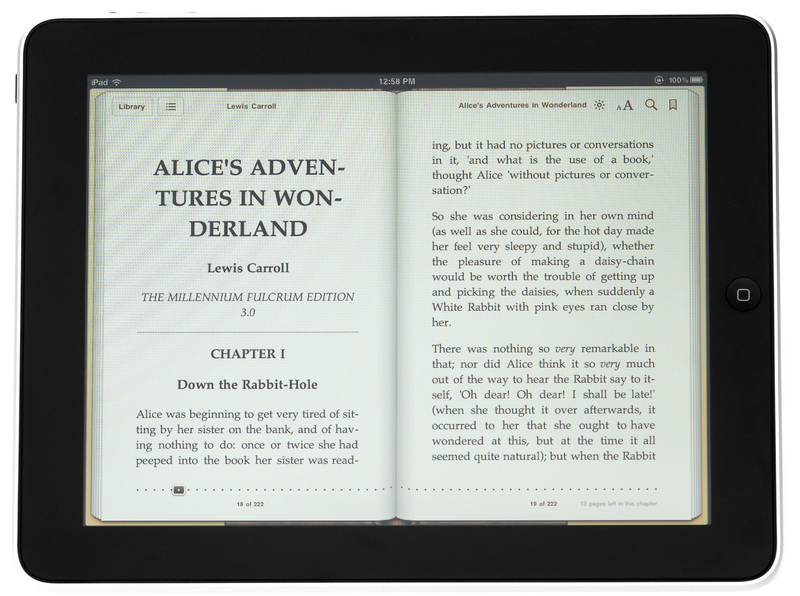 Judge Cote found that Apple and five publishers had conspired to raise the price of eBooks. Basically, Apple used the iPad launch to “solve” the publisher’s problem with Amazon’s $9.99 retail pricing by assisting and, perhaps, insisting, that they engage in a coordinated move to an agency model with a most-favoured nation clause that would prevent retail price competition against Apple’s new iBookstore. The case was unusual because Apple was, in fact, a new entrant into a retail space with a dominant incumbent player, Amazon. But it was the way they entered that Judge Cote took issue with. I have to admit that I was sceptical the DOJ would be able to amass the evidence to find price fixing in this case. From the judgment, even without the presence of Steve Jobs, there was enough. Is it believable that Apple knew and understood how it was helping the publishers here? Absolutely. I just wondered about satisfying a burden of proof without a key conspirator being able to be cross-examined. In any case, the judgment has all of the facts of the case. In fact, I just finished reading this book by Andrew Albanese which is a better read than the judgment but essentially the same story. This judgment is very interesting. First, the Judge really admires Apple. She is glowing in tributes to them and, at times, seems in awe as to how well they executed on all of this. Usually, there is scathing disrespect for price fixers but here it seems that they were like a worthy foe. They were smart just not smart enough for their actions to be seen through. Second, Apple argued that with respect to agency agreements, MFNs and the like, these were all commonplace elsewhere. In fact, Amazon and Google moved to the same thing. So how could it be that Apple was guilty where others were not? But it is not the contracts that were the problem but the negotiations leading up to them. It is that process that formed the conspiracy. Put simply, it was the “cheap talk” that facilitated collusion and Apple used its clout, reputation and sheer innovativeness to make that happen. Sadly, for Apple, that’s still illegal. This distinction is really important because there were concerns that a negative finding against Apple in this trial would destroy other business models like those for the App Store. But the judgment is very careful to assert the legality of the arrangements. It is just that you can’t use your power or reputation to coordinate a collusive agreement. Had Apple just offered a term sheet and left it for publishers to decide independently what to do, it would have been fine. But it wanted many publishers to sign on at the same time to look credible. And that is where it moved across the line. Third, Apple’s other defences proved fruitless. That Apple was a tough negotiator did not deter from the fact that prices were rising. That Apple capped prices to stop them going too far, did not deter from the fact that prices were rising. That prices eventually came back down, did not deter from the fact that they rose (although this will likely matter for damages). In reading this, the main take-a-way, is that Apple didn’t need to do this. The iPad was the focus and the iPad was going to be a great book reading device whether or not Apple had a seriously competitive bookstore. There were Kindle and other apps on the iPad and consumers still use them. Apple had advantages in the quality of its on iBooks app and also payments that would have given it some success even if prices were slightly higher there than elsewhere. It may have taken longer to achieve their own place but Apple could have just launched an iBookstore with its standard terms and let publishers come on gradually. Alas, it chose to seize on the publishers’ fears to speed things up and that is where they fell into legal trouble. They unlikely earned much money from this. Apple seemed to be taken with sorting out the book market and making it simpler. And, basically, despite all of this, they actually achieved that outcome. The eBook industry changed in how it was organised. Amazon lost market share. It is just that now book prices will be lower for a time; at least, until Amazon decides not to continue to incur losses. The publishers, on the other hand, are on the last gasps in the throws of massive disruption. I believe that they will survive by focussing on their core role in the market place as attractors of attention but everything else here is of their own making. If book prices have fallen along with their returns, it is because they have less value in their activities than they used to have. Moreover, they have handed Amazon any power it has by insisting on DRM. They could end that tomorrow by saying to any Amazon consumer, if you go to another app and prove you bought the book from Amazon, that book will be available to the consumer elsewhere. But they can’t see it and so are doomed. Sorry Joshua but I think you are not making justice to the plaintiff case. It is not just about “cheap talk”. The MFN clause provided a committment device that “forced” the publishers to impose the agency onto Amazon in a coordinated way. This is because the MFN clause was in combination with the condition that unless everyone accepted it, the Bookstore would not have been launched. So the individual publisher knew that by signing up to the MFN clause, conditional to it coming into force only to the extent iBookstore was launched (which was conditional on everyone agreeing), it wouldn’t run the risk of being left out alone facing Amazon’s retaliation. “Cheap talk” is not committal. The combination of the MFN and the membership conditionality underpinnning the iBookstore launch was committal. Clever yes, but cospirational nonetheless, and not just because “cheap talk”. I wasn’t recounting the Plaintiffs case but the Judge’s conclusion. Very different things. She was pretty clear MFN clauses are fine and also that the threat to not launch an iBookstore wasn’t necessarily credible. Pingback: Digitopoly | Do books compete with one another?